hi little cún yêu, con chó con hi!. . Wallpaper and background images in the Cute chó con club. This Cute chó con photo might contain chihuahua. 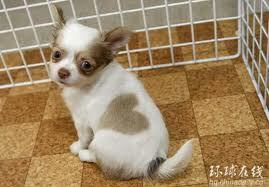 I don't get it how could a puppy have a heart on it's back.